Gaynor initially set up her fabulous bespoke handcrafted jewellery company in order to produce hand crafted, unique pieces at a price that more people could afford. In fact, she makes limited profit on the pieces as she is so determined to keep the price down to make them affordable for all. This is despite having become a critically acclaimed designer, featured in Marie Claire magazine on numerous occasions and working with couture designer Masato on a catwalk collection. 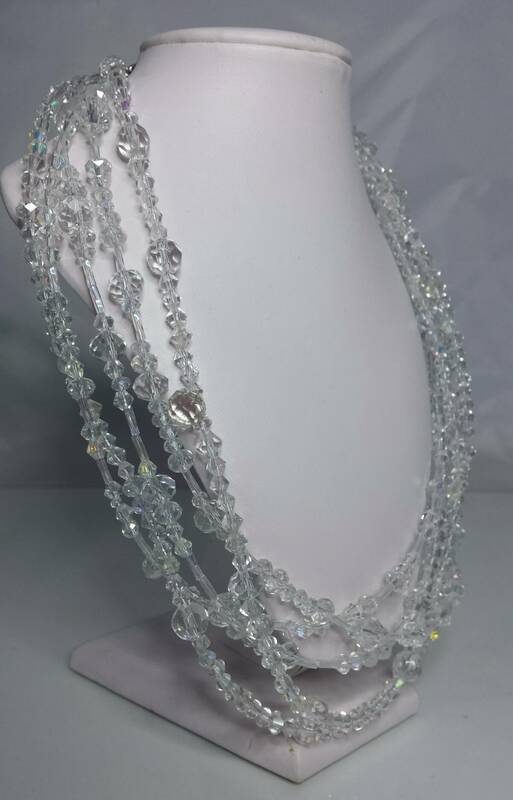 I rarely wear jewellery (it isn’t practical to hang both a necklace and a toddler around your neck at the same time) but I adore this Swarovski Crystal and Austrian crystal waterfall necklace, designed by Gaynor for the Masato website. The reason I have featured Artisan Designs UK today isn’t because of their beauty or accessibility, but in fact due to the support that Gaynor offers to the Finding Furever Homes charity, to whom she donates an incredible 25 per cent of her profits. So you can rest assured that just this once, treating yourself to a beautiful piece of jewellery is the right thing to do. It is a tragic fact that on a daily basis, healthy dogs are put to sleep purely because they are abandoned, unwanted and there is not enough space in rescue for them. The Finding Furever Homes charity aims to find loving homes for dogs in rescue shelters, thereby freeing up their space at the shelter for another dog in need. The charity also arrange fundraising to assist with rescue costs. The funding is then distributed to smaller, local rescue organisations that so desperately need the extra help. Additionally, they aim to get the message out about the plight of dogs in the UK. This is an important message for those of us who think we are living in a civilised society. There is a famous quote from Mahatma Gandhi that, “You can judge the morality of a nation by the way the society treats its animals.” As long as perfectly healthy pets are being put to sleep on a daily basis and we continue to buy puppies, supporting puppy farms and excessive breeding, I would argue that we cannot regard ourselves as a civilised society. Without the Finding Furever Homes charity, dogs like Gaynor’s beautiful Buddy wouldn’t have had a second chance at life. So please, support the charity if you can, and if you are thinking of getting a dog this Christmas, please visit your local rescue shelter instead of buying a puppy. By buying a puppy this Christmas, you are denying a shelter dog the chance at happiness, and condemning another unwanted dog to death when it could have had the space in a rescue shelter that you would have freed up by adopting. 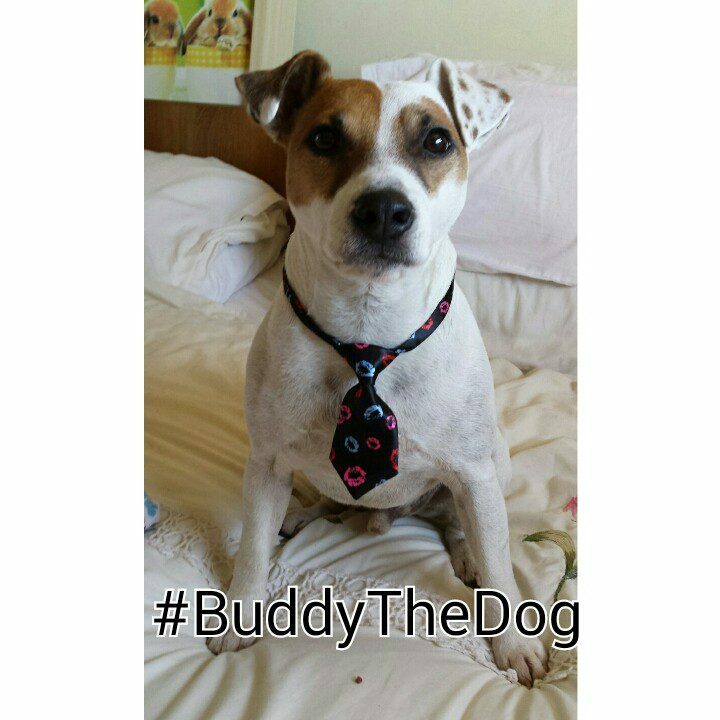 Here’s Buddy to show you how wonderful a rescue dog can be (he dressed up especially for the occasion).